During this upcoming volleyball season, Gregory Gym will host a family reunion. The University of Northern Iowa announced on Wednesday that it will open its 2019 season with a match at Texas. The match-up on Aug. 30 will feature two teams that reached the NCAA’s tournament in 2018. In the first-ever meeting between the two schools, UT sophomore libero Sydney Petersen will be opposed by her mother and twin sister. Bobbi Petersen has been Northern Iowa’s head coach since the 2001 season. In 2018, Baylee Petersen appeared in 31 games as an outside hitter. Last year, Texas coach Jerritt Elliott hinted at the idea of scheduling a home-and-home series with Northern Iowa. Sydney Petersen also endorsed the idea of playing her sister. Petersen won UT’s libero job as a true freshman this past season. She averaged 3.58 digs per game. 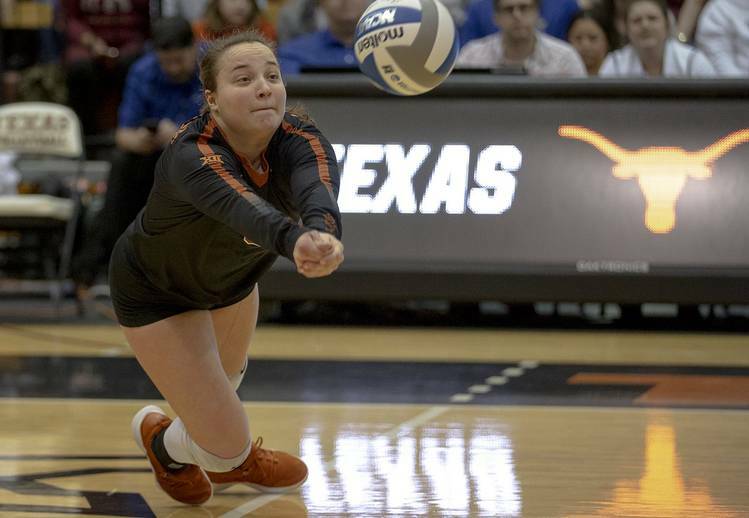 Peterson also led Texas with her 23 service aces. Texas has not yet released its schedule for the 2019 season. The Longhorns will wrap up their spring on Friday with a trip to College Station. The start of that scrimmage has been slightly adjusted due to Texas A&M moving its spring game to Friday.